With a little more than a week to go to Australasian Lawyer’s Legal Tech Summit in Sydney, there are very limited seats left. Last minute bookings are still available. Over 280 legal professionals are confirmed to attend the summit, which features Allen & Overy Partner Jonathan Brayne who is also chair of the firm’s innovation hub Fuse, and thought leaders in the profession such as Karan Mehta, Applied Legal Technology Manager at Allens, Shaun Temby Partner at Maddocks, Caryn Sandler, Chief Knowledge and Innovation Officer at Gilbert + Tobin and Adrian Cartland, Principal at Cartland Law and Creator of Aililra. Delegates will learn about collaboration in legal tech, blockchain, leading a firm through disruptive change, and artificial intelligence in legal technology. There will also be a ‘live’ hack by certified ethical hacker Daniel Weis who will show you how vulnerable law firm systems can be. This will be followed by insights Baker McKenzie Partner Patrick Fair on privacy and cybersecurity. And over in the tech talks session, there will be tips from Jeremy Levy, Principal at Business First Legal on how to improve cybersecurity. 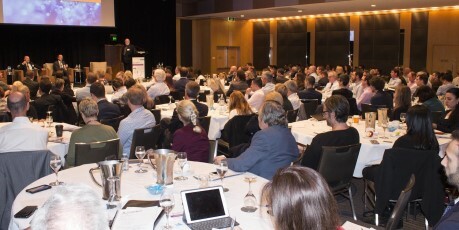 The Legal Tech Summit will be held at the Westin on Wednesday 31 October.